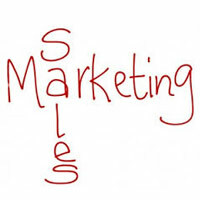 Marketing & Sales are not new concepts in business domain and especially when it comes to considering them as a career option. In fact, in India there have been communities which use to specialize in this trade. However, in the changing times and trends of the 21st century, Sales and Marketing Sector has undergone drastic changes and they have now become much more than mere selling. Today, Marketing marks development and planning of an entire sales strategy of a company on which the direction of the growth chart of the company depends. All the above mentioned factors have made Marketing and Sales one of the most rewarding career options. With huge scope of personal as well as professional growth, people who want to build prosperous career with hard work are looking at Sales and Marketing Sector as one of the most interesting and rewarding ones.